Multi-edge side milling, it can enhance feeding with HIgh performace cutting, the cutter can fit with other brand inserts. 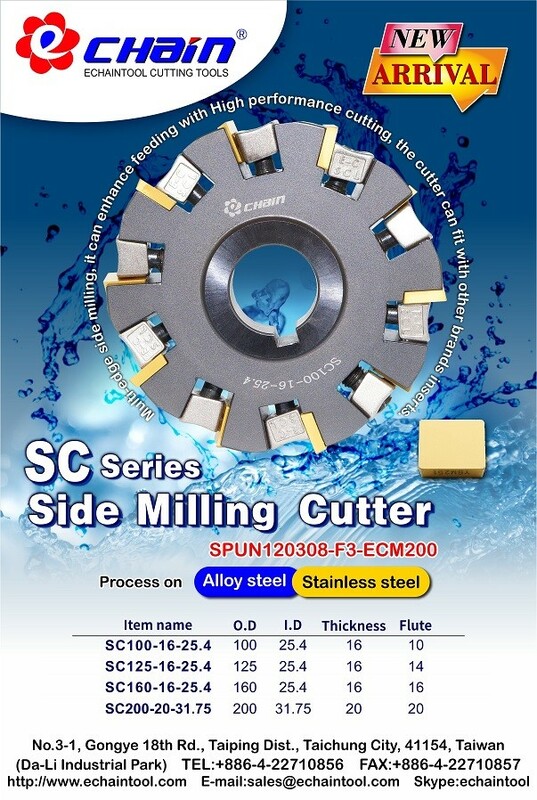 Insert of SC series Side milling cutter is SPUN120308-F3-ECM200. Process on Alloy steel, Stainless Steel.